If you choose to join the precongress in Hamburg, you will have the chance to get known to this beautiful city and to the other congress participants before the main congress in Berlin starts. There won´t be any me etings, we will only have social programme to relax before we go to Berlin. 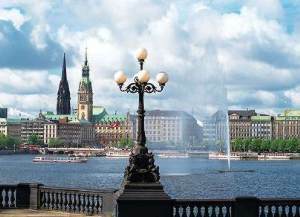 With its maritime flair, the big harbour and the river Alster right in the centre, and the interesting cultural programme and nightlife, everybody will enjoy the three days. The application fee will include accomodation, a local public transport ticket and the transfer to Berlin on Monday. You can find all information about Hamburg at www.hamburg-tourism.de. We will stay in the youth-hostel Schanzenstern Altona. 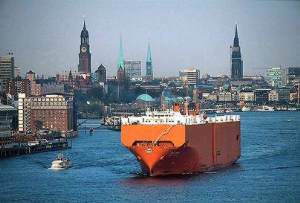 To find it on the map please visit www.stadtplandienst.de and type city "Hamburg" and address "Kleine Rainstraße 24". 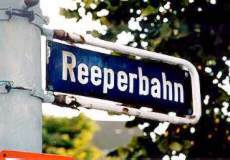 You will find the hostel close to the train station "Altona". Arriving by train: Most of the trains going to Hamburg stop at the station Altona, then it´s 5 minutes walk to the hostel. Arriving by plane: Take the Airport Express Bus Nr. 110 till the stop Ohlsdorf and change there to the regional train S1 or S11 till the stop Altona. Arriving by bus: Get off at the Central Bus Station (ZOB) and take the regional train S1, S11, S3 or S31 to the stop Altona. Please write your travel details to joern.wittig@gmx.de and we will try to pick you up to the hostel.